Every year - until 2013 - squabbling in Congress has forced delays of the annual holiday trip. HONOLULU — An ocean away from Washington worries, President Barack Obama opened his annual Hawaii vacation Saturday on a quiet note — and hoped it would stay that way for the next two weeks. 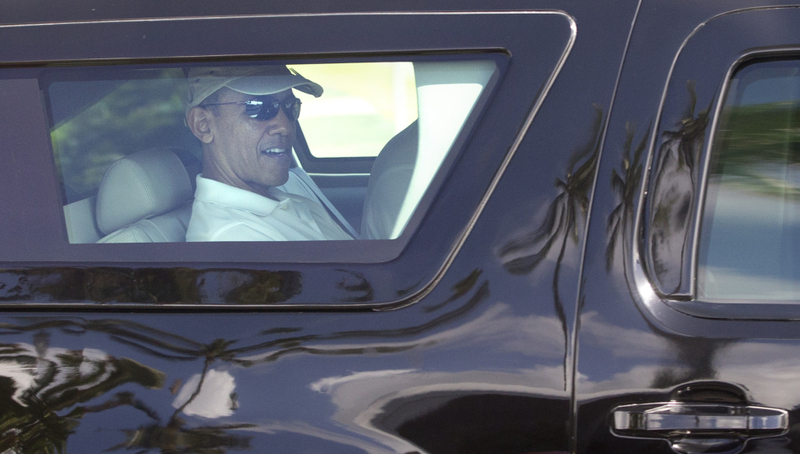 Obama, in white golf shirt, hat and sunglasses, was all smiles as he drove past reporters accompanying him to the coastal golf course.